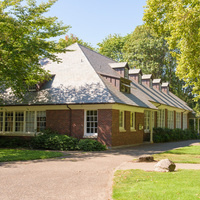 Originally the dining hall, the Student Union (SU) is now a casual space for relaxation by day and a venue for concerts and dances by night. The student radio station, KRRC, broadcasts from the SU, and the college’s unofficial mascot—a large, cement garden statue known as the Doyle Owl—has been known to make appearances at SU events. Excellent coffee and treats are available at the student-run Paradox Café, also part of the SU. Are you a dancing queen? Are you young and sweet? Hopefully you're over seventeen! Come to the SU to have the time of your life jiving to the music of ABBA!